No, I wasn’t a cheerleader in school, but it was fun to follow along at football games encouraging the players. I believe that is exactly what we do at Track Shack, through our shoe fitting process, our training programs and, of course, our super charged events all season long! It is both Jon’s and my goal to inspire each and every customer and participant; to educate, encourage and empower! “So, gimme an E, gimme an E, gimme an E! What’s that spell?” Well, nothing really, remember I was a runner not a cheerleader in high school J. 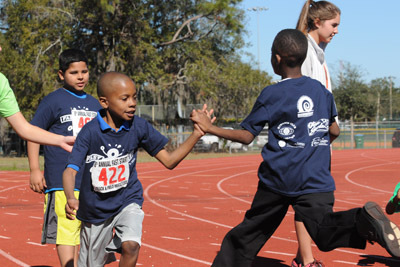 But these E’s are the characteristics of our mission to keep Central Florida fit and healthy. 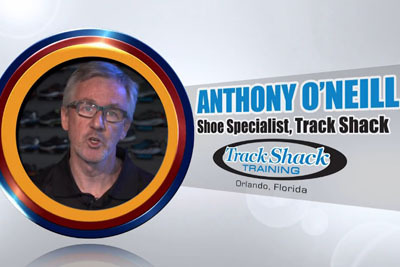 Education: Let us educate you on why we’ve chosen a certain shoe for you. Through our evaluation process including a review of your current shoes, watching you balance, walk, and of course measuring your feet, we are able to identify the best shoe for your needs. We may ask questions concerning your running goals. Anthony, our resident shoe doc, works with our shoe vendors to guarantee our shoe wall is the best! Nathan finds the perfect socks, apparel and even helps coach our training programs. After a summer 10 miler you’ll be thanking us for explaining your sock choices! What are you training for this year? Ask Bruce which marathon had the fastest times last year or 20 years ago; he is our resident running encyclopedia. What time of day do you run? I’m a morning runner, but Matt, a night owl, runs late at night and can direct you to the best reflective gear. Astrid will educate you on the best gel or nutrition for whatever event you are training for and Andres, our tech guru can figure out any Garmin issue! Steven, Dana and Arnett are the “in house” ultra runners, did I say crazy? They know the trails to run and what to carry for hydration. 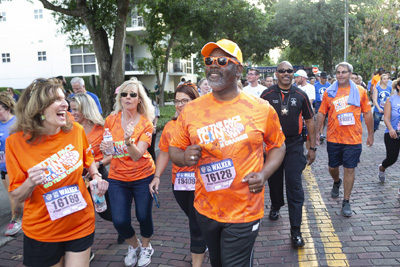 Jean, Linda, Sammy and Kerry are your counterparts in MarathonFest and Orlando Galloway. They will help keep you on the roads injury free while training for that first big event! We are probably a bit biased, but we have the most incredible training program anywhere. We are fortunate to have Susan Paul as our director. Her articles in StartLine are always helpful and full of great advice. Susan and our other coaches are the cheerleaders on the road! “Go Team Go!” Their experiences enable them to encourage you in accomplishing your goals. The therapists and docs that participate in our Florida Hospital Healthy Living monthly clinics are often entertaining, but most certainly helpful in encouraging you to keep moving and enjoy your healthy lifestyle. Sometimes we are just foam rolling around, other times we are learning how to eat healthy during the holidays. If you are training for your first 5k or your first marathon stop by Track Shack often, let us cheer you on! in all aspects of life. When you are empowered, you like yourself…that makes the rest easy. The hardest part is just taking that first step. Meeting you at the store or on the roads, our goal is to inspire you to keep moving forward. Our daughter Emma and Chris were there when we first celebrated Track Shack’s anniversary with a run. Our five and two- year -old clapped for every finisher! In 1992, we had the race behind the old store on Mills. 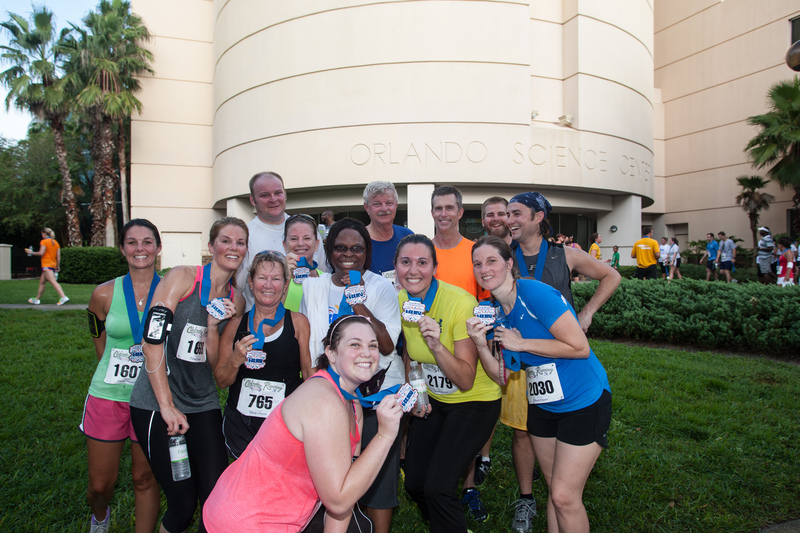 This year will represent our 37th anniversary and on August 16 the Celebration of Running 5k takes place at the Orlando Science Center. If you are training for your first 5k, this is it! Great fitting shirts, a beautiful medal, plus some carbs: beer! Track Shack will be busy all week showing off our new look and hosting our annual sale. I know Chris will be there too! In fact, he’ll be the cheerleader behind our Wednesday group runs beginning July 9th. Join him for an easy run and visit with some of our vendors. 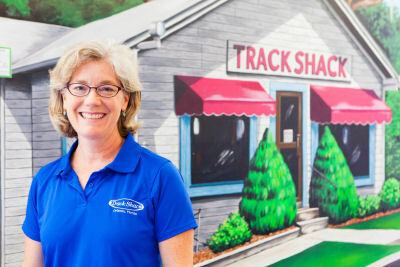 There is so much going on at Track Shack! Why, we are even encouraging healthy eating habits on Tuesdays with the Community Market of Mills50! Come by for fresh vegetables and then stop in the store to say hi J. Who says Clif Bars and tomatoes don’t go together?